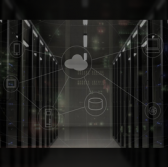 InterSystems has started to offer a unified data platform on Microsoft‘s Azure Marketplace to help customers build and implement cloud-based information technology applications. The IRIS Data Platform is designed to manage workloads, process transactions and analyze data, InterSystems said Friday. Microsoft created Azure Marketplace for organizations to access certified cloud-based IT products. “To keep pace with continuously evolving market demands, organizations need flexibility and agility when deploying new applications,” said Carlos Nogueira, general manager for data platforms at InterSystems. Nogueira added the company seeks to help clients and partners create data-based apps that will allow them to manage customer experiences and operational efficiency across their organizations.